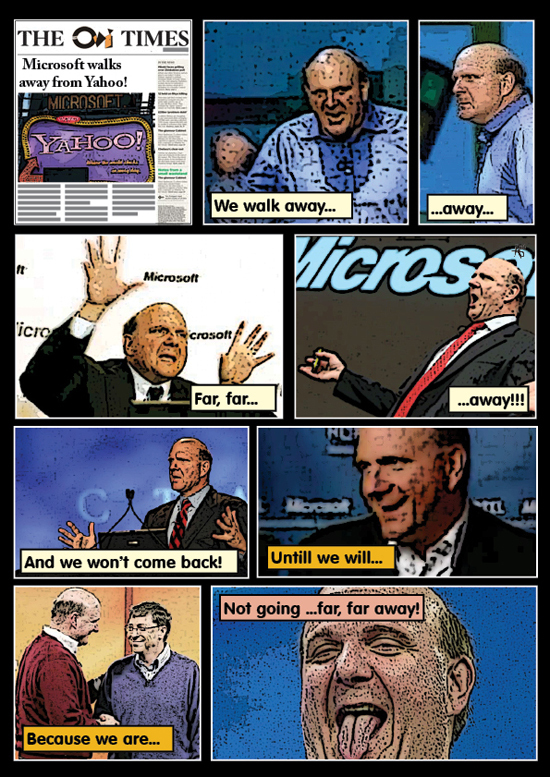 Mr Ballmer said Microsoft had raised its original offer from $44.6bn to $47.5bn (£24.1bn) - $33 per share. But he added that Yahoo had insisted on at least $53bn, or $37 a share - more than Microsoft was prepared to pay. For more Photoville cartoons HERE!